A smooth blend of jazz with an upbeat personality, Koz knows how to hit all the right notes! Why See Dave Koz Christmas Tour? 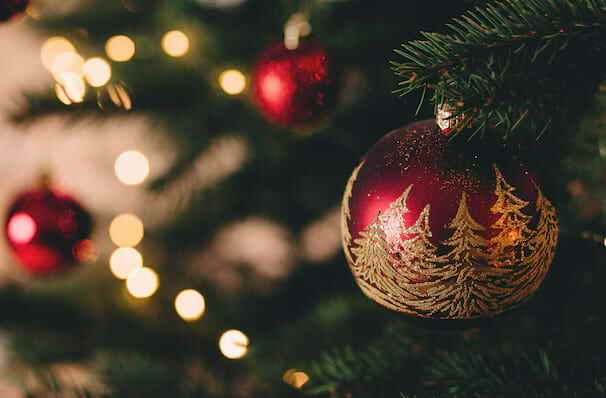 Celebrate Christmas in style with smooth jazz aficionado Dave Koz and special guests Jonathan Butler, Candy Dulfer and Bill Medley. Although he's Jewish, Koz loves the festive season and all the trimmings that come with it, so much so that he released a Yuletide album entitled "The 25th Of December" in 2014. The classy compilation features contemporary covers of classics and carols like The First Noel and Let It Snow! The saxophonist rose to prominence as a session musician in the late 80s before pursuing a solo career in 1990. Since then his released an astounding 17 studio albums and garnered many accolades including a Grammy nomination. An exuberant and skilled performer, why not join Koz & friends as he spreads the Christmas cheer? Sound good to you? 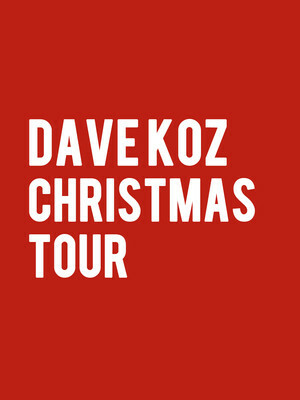 Share this page on social media and let your friends know about Dave Koz Christmas Tour at Plaza Theatre. Please note: The term Plaza Theatre and/or Dave Koz Christmas Tour as well as all associated graphics, logos, and/or other trademarks, tradenames or copyrights are the property of the Plaza Theatre and/or Dave Koz Christmas Tour and are used herein for factual descriptive purposes only. We are in no way associated with or authorized by the Plaza Theatre and/or Dave Koz Christmas Tour and neither that entity nor any of its affiliates have licensed or endorsed us to sell tickets, goods and or services in conjunction with their events.